They say that time heals all wounds. While it may be a comforting adage to some, there is no shortage of doctors - not to mention patients - who would argue that fact strongly. Just ask any of the people listed below. Some are writers, some are scientists and some are world leaders. All of them are famous people who met an untimely end due to lack of availability of quality medical care. Each of these situations would have gone quite differently in today's era of readily accessible telemedicine. This post-republican French conqueror was as famous for his short stature as he was for the size of the proverbial stick he brandished during his rise to power. But while the pint-sized military leader-turned-emperor has a psychological syndrome named after him, it was a different ailment that took his life. Napoleon died in exile on the Italian island of Elba. History books will tell you the fatal illness that felled the conqueror was stomach cancer, but posthumous analysis has revealed a different culprit: poor doctors. Scientists who tested Napoleon's hair hundreds of years after his death found a surprising amount of arsenic leaving telltale traces in his hair follicles. It's unclear as to whether he was deliberately poisoned or if he simply incidentally ingested fatal amounts of the poisonous substance: Among other things, arsenic was commonly used at the time as a wallpaper paste, according to io9. Either way, had doctors treating his stomach cancer been able to examine him on a more regular basis and consult with additional physicians, they may have been able to notice Napoleon was exhibiting very different symptoms from someone with stomach cancer. 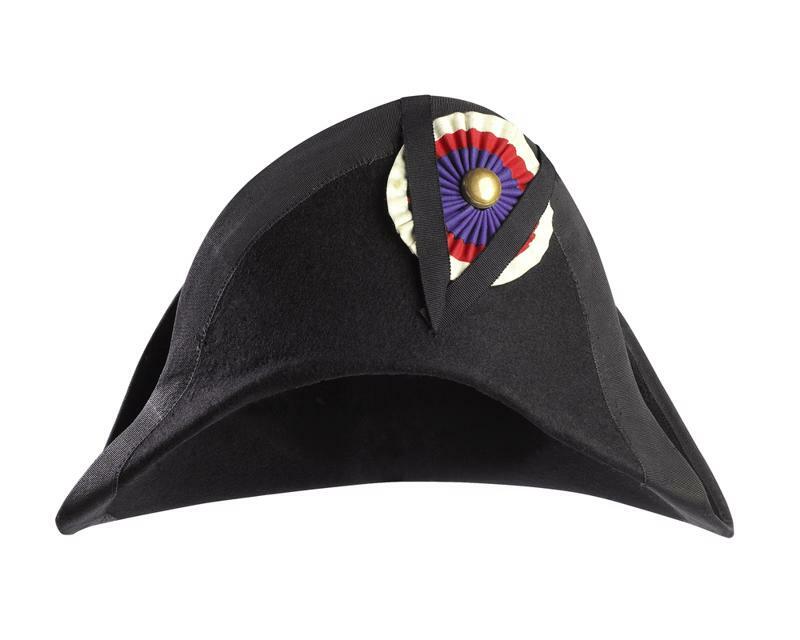 Napoleon's trademark hat hid the secret of his death: arsenic. The 20th U.S. president isn't likely to make anybody's list of favorite heads of state, not least because his tenure in office was so short. Garfield took office March 4, 1881, and "resigned" six months later when he died of a gunshot wound. Or at least, that was the official story at the time. In reality, Garfield was more a victim of bad medicine than an assassination. While the president did have a bullet lodged in his abdomen, he likely died of infection caused by nonsterile hands literally digging around in him looking for the bullet. At one point doctors even brought in a metal detector - recently invented by Alexander Graham Bell - to try and find the offending ballistic projectile. Unfortunately, the best medical minds in the country failed to realize that Garfield was laying on a mattress with metal springs, and so he sadly died while his caretakers were wrestling with poorly understood technology and introducing more germs into his system. The Boston-born poet and author garnered a fair bit of acclaim for her poetry during her life which was, sadly, racked with mental illness. According to io9, she reported to her general practitioner that she was experiencing symptoms of severe depression, including suicidal thoughts. While she was prescribed an antidepressant, there's controversy over how effective her treatment was. For starters, the drug she was prescribed was one she had taken before, with minimal effect. Additionally, there's even speculation that what was really ailing Plath was bipolar disorder, not just depression. Sadly, the treatment prescribed to Plath did little to allay her symptoms, and she took her own life when she was 30. The mastermind behind Apple is unique on this list, since his death came well after the establishment of clinical telemedicine. However, his reluctance to pursue conventional medicine for his cancer in favor of attempting to seek respite through alternative medicine like acupuncture or juice cleanses makes his passing a medical tragedy of equal weight. Interestingly, as the head of the highest-grossing company in the world at the time, you'd think Jobs would have access to whatever medical treatment he wanted. It's worth noting that Jobs himself indicated toward the end of his life a wish that he would have pursued chemotherapy and surgery earlier on in the progression of his disease. "Clinical telemedicine is becoming increasingly common in the healthcare industry." These figures come from different time periods and backgrounds, but they're joined by the same factor: the lack of high-quality accessible health care. Would Napoleon have succumbed to arsenic poisoning had there been better specialists available to him while he lived out his life in exile? Could video conferencing and consulting between different specialists have resulted in better care for Sylvia Plath? Might access to other physicians and specialty medical devices have yielded better results for President Garfield? As with many questions of history, it's hard to say. But now that clinical telemedicine is becoming increasingly common in the healthcare industry, it's much easier to prevent these situations from occurring in the future. For more information on how your clinic can help save the future historical figures of the world with clinical telemedicine, contact AMD Telemedicine today.